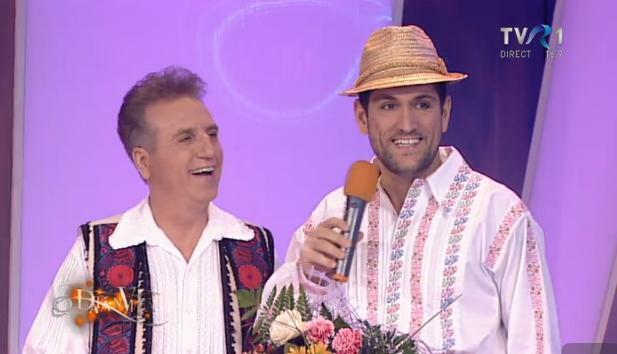 This week-end, TVR aired again that amazing folklore special show with almost every romanian eurovision entry. It was a very nice initiaitve from TVR and the ” O data-n viata” TV show , presented by Iuliana Tudor, to bring together under the same ro0f romanian eurostars: Nicola ( ESC 2003), Marcel Pavel ( ESC 2002),Luminita and Sistem ( ESC 2005), Nico and Vlad Mirita ( ESC 2008), Cezar ( ESC 2013) and Paula snd Ovi ( ESC 2010). Each one of the were introduced by famous romanian folk singers, and got the chance to sing together. It was nice to see all of them together, having fun and doing what they know best, that is to sing.